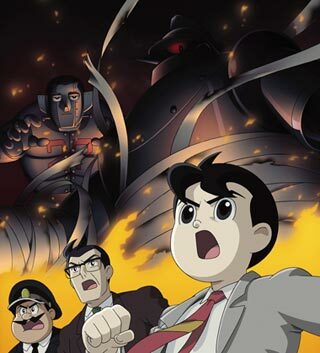 Of all the anime reviewed last year; only Tetsujin 28 stood out as the "the" series that made this reviewer stand up and take notice. Marvelously retro with a grand dramatic flair, even the music was appropriately nostalgic that evoked the wonders of a bygone era from yesteryear. 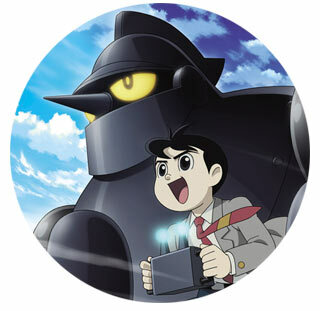 Lovingly composed by Akira Senju (Saiyuki: Requiem, Mobile Suit Victory Gundam), this 20-track CD infuses the retro-world of Tetsujin 28 with a classy and sentimental arrangement that aims at stirring up the cinematic cliff-hanging aura of Saturday morning film-serials. Listen and you'll note that his composition rings with a down-to-earth simplicity and beauty, while it evokes feelings of high emotion and adventure into the music. From the nostalgic main theme song to the highly polished symphonic canvas conceived by composer Senju, this soundtrack is sure to delight both old-school anime fans of "Gigantor" and newcomers alike. 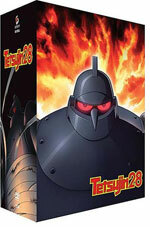 Tetsujin 28 rocks hard, and this soundtrack is proof that retro is in. 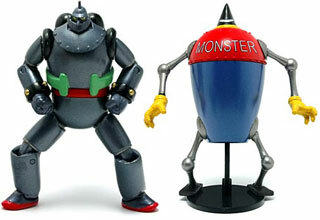 Gigantor the Space Age Robot, he's at your command, Gigantor the Space Age Robot, his power is in your hand! How can you not sing that song any time you even make mention of the name? It's as classic as Astroboy and possibly even more fondly remembered among American audiences. Baby Boomers and Generation X alike claim this series as their first exposure to anime (until Speed Racer dominated our childhoods). 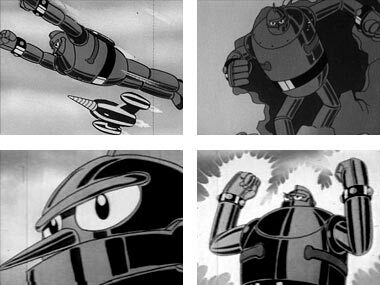 Below: Scenes from the robot packed 1960's anime classic Gigantor. 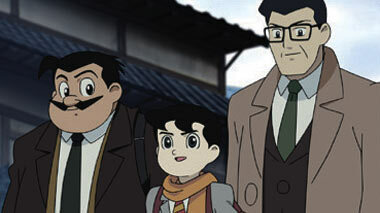 Below: Promotional artwork from the Tetsjin 28 anime remake. Below: What's a robot show without amazing toys?